There are many joys to being a homeowner. You have a home to call your own and the pride of ownership. Plus, you have the freedom to customize it how you want. Long gone are the days of having to consult a landlord for permission. 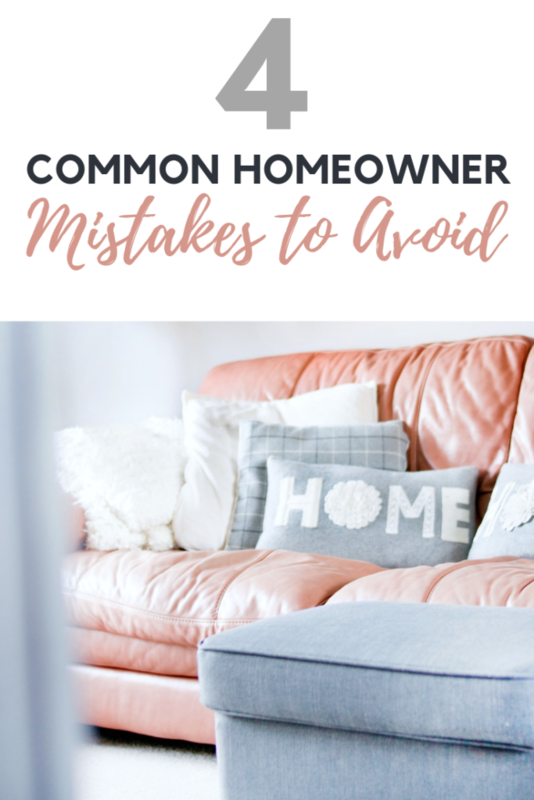 You may also discover some downfalls to ownership but, if you avoid these costly homeowner mistakes, you’ll be fine! Read on for some of the classic mistakes made by many homeowners. They can get costly on both a personal and financial level. If you can, try to avoid the following mistakes below! Having your own home comes with a ton of expenses. From property tax to utility bill costs. To save money, it might be tempting to skip a home warranty. This is a service cost to cover your home appliances and heating systems, amongst other things. While it’s a regular expense, it is usually cheaper than having to pay for repairs out of pocket. Especially if your refrigerator or HVAC system breaks down. So, if you haven’t chosen a home warranty company yet, perhaps now is the time to do so! Don’t ignore those telltale signs that there is something wrong in your home. That dripping tap in the bathroom might be a nuisance to listen to, but it might not be big on your list of DIY duties. That crack in the wall might be unsightly, but it might not seem like such a big deal when compared with more pressing repair tasks. Here’s the thing, that leaking tap could mean a higher water bill every month. That crack in the wall could lead to damp and rot within your property over time. While they may seem small at the time, they can become a much larger and costly problem over time. Try your best to take on the small repair jobs to avoid this! You can try to do one small task every weekend. Soon enough, you’ll have them all cleared and your home intip-topp shape. There may be jobs you can do yourself, such as changing a lightbulb or a fuse. Maybe you have the skills to make or build things that make your home functional. While we all have skills we can put to use, there are some jobs you probably shouldn’t undertake alone. Jobs like replacing old pipes when fitting new appliances, or tackling any electrical job. If you’re not skilled in certain jobs, don’t try to do them on your own. You might injure yourself or really cause damage to your home. In an emergency, you should always call somebody like a 24/7 emergency plumber to come out to your home or any other skilled professional you may need. I always say it’s best to leave maintenance or repairs like this to the pros. While we might have the will and desire to do it ourselves to save money or for the experience, it can be more costly in the long run. As a homeowner, you may find that you are spending a lot of extra money on “stuff”. Not to mention, there might be less space in your home because of it. I think that we as homeowners can sometimes get carried away. There’s nothing wrong with that because owning a home is exciting. Of course, we need the basics. Like essential furniture, food, toys for the kids – but we can sometimes go overboard on these things. Then there’s all the decor, collectible items, and other knick-knacks that we accrue over time. Do we need them all? Probably not! 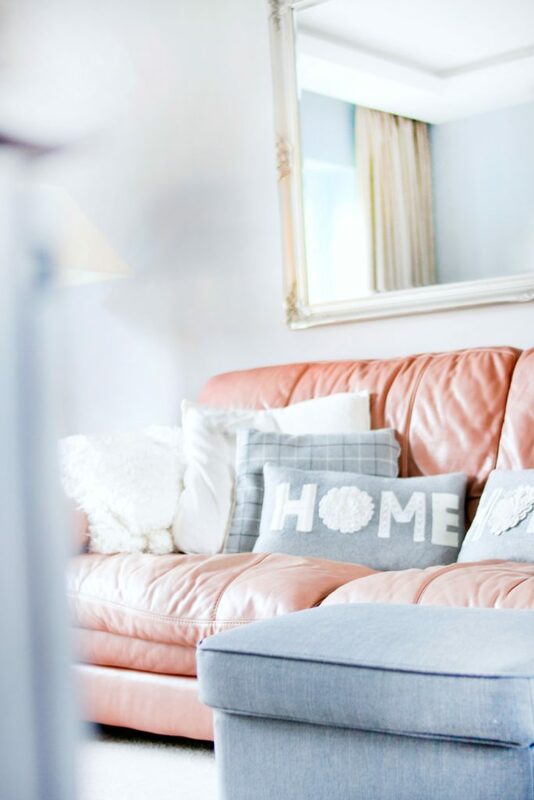 You can save yourself some money and find ways to create more space at home instead of filling it. When you are considering buying something new, ask yourself, “do I really need it?” You’ll find that when you do this, the answer is almost always a no. You can use that money towards something else. Like for us, we use it to travel! We also take the advice of Marie Kondo and only keep things that “spark joy” in our lives. Most of the time, life as a homeowner goes pretty smoothly. Then sometimes, disaster strikes. Weather can damage part of your home. Another scary thing that can happen is a break in and burglars make away with your belongings. Sometimes, something valuable breaks down. “These things will never happen to me,” you may tell yourself. Maybe naively thinking that it never will and then it happens. The best back up you can have is getting insured. In the same way, as you should pay for a home warranty, you should also insure your home and the contents in it. That way, you have a backup plan and it won’t cost you more money if something does happen. Making sure you have a backup plan and insurance is a great way to ensure that you won’t be caught off guard or footing an expensive bill. It can be easy to fall into these mistakes, especially if you are a first-time homeowner. Don’t worry, you aren’t alone and if you protect yourself from the get-go, you won’t have to worry when things don’t go as planned. Believe me, you will learn as you go and we have all fallen into one of these mistakes in our lives. Do you have any homeowner tips to share?